SHANGHAI (Reuters) - China's three largest bitcoin exchanges said on Thursday they will strengthen oversight of customers' identities and sources of funds, in the latest shift since the Chinese central bank stepped up its scrutiny of the industry. BTCC, OkCoin and Huobi said in identical statements on their websites that they wanted to curb market speculation and prevent activities such as currency exchange through bitcoin, which they warned was not issued by monetary authorities and carried high risk. Their move comes after China's central bank said it called nine of the country's smaller bitcoin exchanges in to a Wednesday meeting to discuss risks in the bitcoin market, and warned them that they risked closure if they seriously violated regulations or took part in activities such as margin lending. The price of bitcoin on European bitcoin exchange Bitstamp fell by as much as 9 percent on Thursday from the previous day, trading at $960. 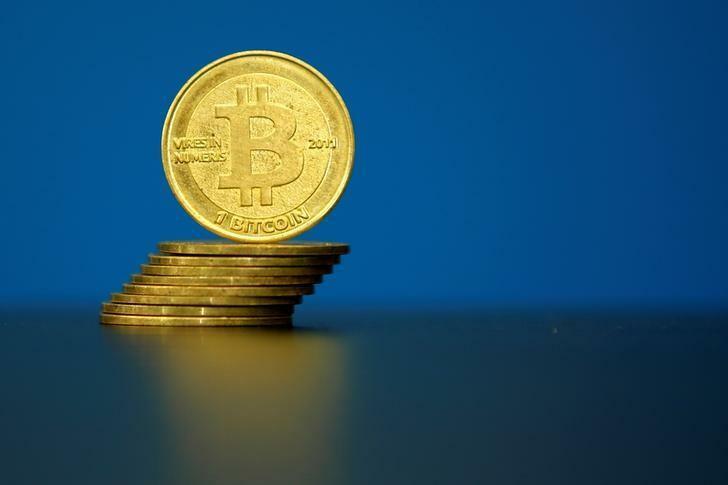 Beijing signaled that it was keeping a closer eye on the bitcoin industry last month by launching checks into BTCC, Huobi and OkCoin, amid growing government efforts to stem capital outflows and relieve pressure on China's currency, the yuan. BTCC, Huobi and OkCoin last month stopped margin lending and introduced trading fees after the PBOC launched checks into them. In their Thursday statements, they also said they may freeze assets or limit trading by users who were found to flout the rules. Their statements also contained links to documents published by China's banking regulator that warned investors about market risks. News of meetings between the various exchanges and the People's Bank of China (PBoC), and other government agencies has caused the bitcoin price to swing wildly. Charles Hayter, CEO of London-based digital currency analytics firm Cryptocompare said the Chinese actions would ultimately be good for the industry. "The PBoC moves to regulate Bitcoin more stringently will bring short-term woes but will ultimately strengthen the ecosystem," he said in a statement emailed to Reuters. According to Hayter's analysis, trading between the Chinese yuan and bitcoin has fallen to around 26 percent of the bitcoin-fiat currency market from 98 percent at the start of the year.